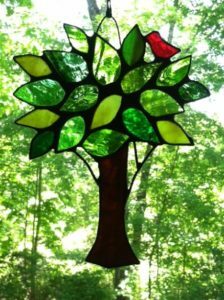 Learn, enjoy and create in stained glass. In one session learn the basic techniques of stained glass and complete your piece. 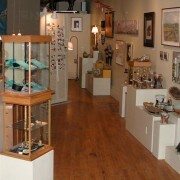 Learn glass cutting, foiling and soldering. Create a free form copper foiled tree with assorted leaf colors and a bird on top! Please wear closed toe shoes. Bring a bag lunch and beverage. For questions contact Karen at deetsvt@gmail.com. Adults age 18 and over. Class size: 8 Maximum. Register at the BAG or phone with a credit card.